Seoul: North Korea accused the United States on Tuesday of pushing the Korean peninsula to the brink of nuclear war after a pair of strategic U.S. bombers flew training drills with the South Korean and Japanese air forces in another show of strength. The two supersonic B-1B Lancer bombers were deployed amid rising tensions over North Korea's dogged pursuit of its nuclear and missile programmes in defiance of United Nations sanctions and pressure from the United States. South Korean Defence Ministry spokesman Moon Sang-gyun told a briefing in Seoul that Monday's joint drill was conducted to deter provocations by the North and to test readiness against another potential nuclear test. China's Global Times, a state-backed tabloid that does not necessarily reflect national policy, said in an editorial late on Monday the United States should not rely on China alone to pressure Pyongyang into giving up its nuclear ambitions. April could prove a "turning point", the paper said, but "Washington ... must also continue to exert its own efforts on the issue". 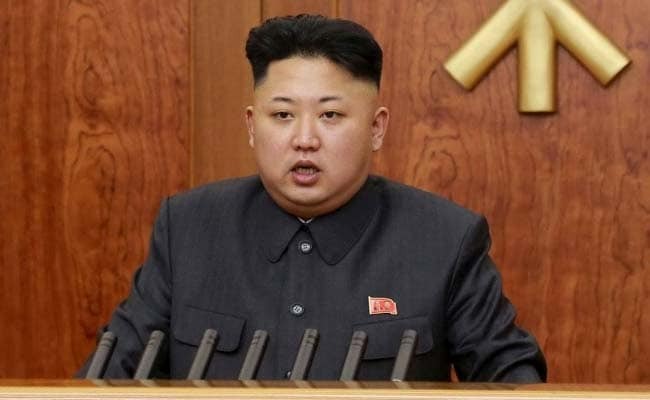 It was widely feared North Korea could conduct its sixth nuclear test on or around April 15 to celebrate the anniversary of the birth of the North's founding leader, Kim Il Sung, or on April 25 to coincide with the 85th anniversary of the foundation of its Korean People's Army. Instead, North Korea conducted an annual military parade, featuring a display of missiles, on April 15 and then a large, live-fire artillery drill 10 days later. South Korea's acting president Hwang Kyo-ahn called for stronger vigilance because of continuing provocation by Seoul's poor and isolated neighbour. "I am asking foreign and security ministries to further strengthen military readiness in order for North Korea not to miscalculate ... and drive the Korea-U.S. alliance and cooperation from neighbouring countries such as China to put pressure on the North," Hwang told a cabinet meeting on Tuesday. Trump said on Monday he would be "honoured" to meet the North's young leader. "If it would be appropriate for me to meet with him, I would absolutely, I would be honoured to do it," Trump told Bloomberg News in comments that drew criticism in Washington. Trump did not say what conditions would be needed for such a meeting to occur or when it could happen. The White House said later North Korea would need to meet many conditions before it could be contemplated. "Clearly conditions are not there right now," White House spokesman Sean Spicer said. "I don't see this happening anytime soon." The U.S. military's THAAD anti-missile defence system has reached initial operational capacity in South Korea, U.S. officials told Reuters, although they cautioned that it would not be fully operational for some months.